Not many people fly kites anymore. Most of us don't have the patience or attention span because, let's face it, we're used to smartphones and other gadgets that have games and apps galore to entertain us. Heck, you can even fly a kite on them if you really want. The Cincinnati fire kite isn't exactly a kite; it's much simpler because it more or less flies by itself. All you have to do is set it on fire. Making a fire kite takes about five minutes and requires nothing more than a sheet of newspaper and some tape. There isn't much explanation as to where the Cincinnati part of its name comes from, though, in his book Backyard Ballistics, William Gurstelle states it got its name from a group of Fourth of July picnickers near the Ohio-Kentucky border in 1946. It's also plausible that it was just a Cincinatti newspaper that was used first. 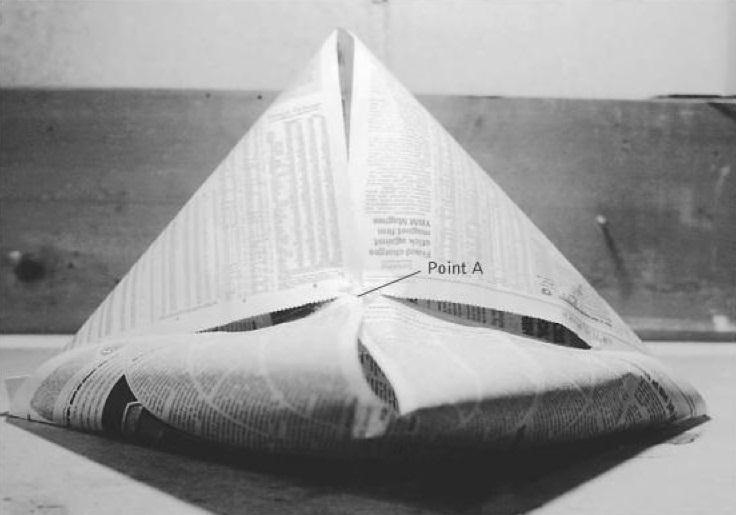 All you have to do is fold the four corners of the newspaper into the center and tape them together. Don't flatten them—the more air you let in, the higher it will fly. You can also use a stapler if you don't have tape. Now, just find a large, safe spot and light all four corners of the newspaper. When you light it, the air inside the kite will heat up. Since hot air rises, when the air reaches a high enough temperature, the kite will float up and eventually break apart when it burns into ash. If you want to see the step-by-step process for how to make your own Cincinnati fire kite, here's a tutorial. If you've ever use newspaper for kindling, you've probably seen little miniature "fire kites" flying up out of your campfires. It's basically the same thing, only without the campfire. We suggest you stay away from wooded areas, though. The last thing you need is to be responsible for a forest fire. If you want to make something fly in the night skies with fire, but want to lessen the risk of burning the whole town down, there's always floating sky lanterns. looks far safer for livestock than those chinese lanterns which go through silage making machines. The chopped up wire and bamboo in the animal feed cause all sorts of internal problems to cattle. Whoa. That's an interesting tidbit on the lanterns causing harm to livestock. Pretty sad, actually. I imagine there's a lot of other things that can get chopped up unknowingly, too. that wasnt sucssful the fire kite is supposed to go? to tree top hight and dicigrate there produces sparks still very nice try i enjoyed watching it try on a cool night when its not raining.